Hope you all enjoyed the little snow storm we had last night and this morning! I have to say that I was a little bummed we didn’t get the 2-3 feet that New York and New England did, but I’ll take a little bit of the white stuff anytime. So you know how everyone freaks out when snow comes and buys milk, bread, and eggs? We like to do things a little differently in my house. Instead of the normal staples people like to buy, we like to mix things up and buy food (locally in Ardmore, of course!) to make some special, gourmet meals at home. Even though we didn’t get stuck because of the snow, we still stocked up for the weekend, and tonight, we enjoyed part of our stash. Homemade pizza! 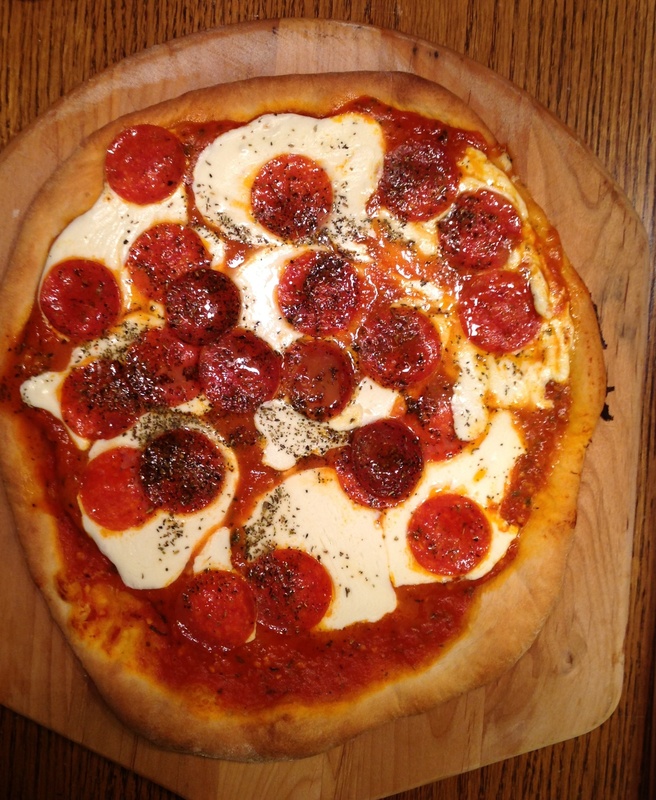 We used Pillsbury pizza dough and made two delicious pizzas. I can’t take credit for the recipes–that’s all my husband–but I helped out and savored every bite. 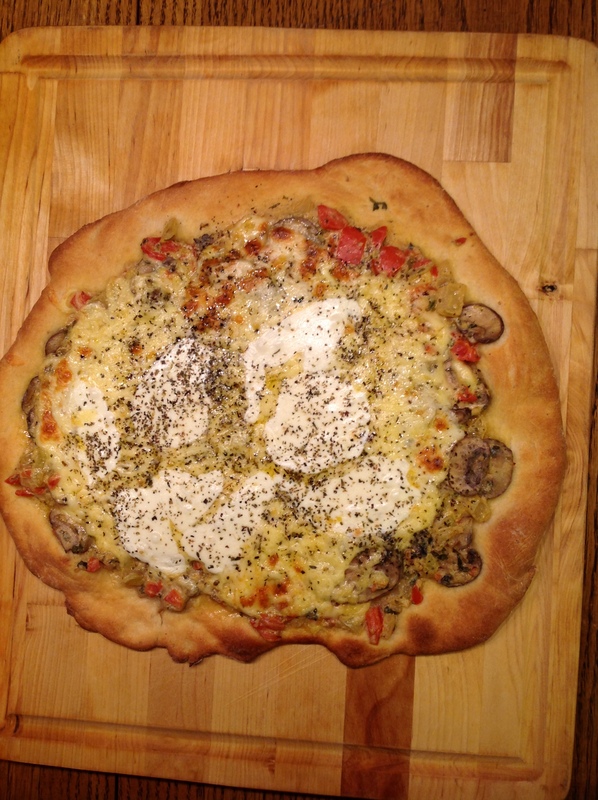 We had a white pizza with red and long hot peppers, mushrooms, garlic, and a mix of cheeses–gouda, provolone, and fresh mozzarella–in a cream sauce. And a pepperoni pizza with fresh mozzarella. It sounds so simple, but my husband made a special red sauce with honey, so there was nothing run of the mill about this beauty. Yum! Hope you’re enjoying the weekend and staying warm! I have a few stories in the works and will be posting more soon. This entry was posted in Sights and Sounds of Ardmore, Uncategorized. Bookmark the permalink.